Gliding is a fantastic sport and without doubt the most affordable and by far the quietest form of aviation. To soar effortlessly like an eagle has been one of mans´s age old yearnings and today many thousands of pilots araound the world regularly enjoy the beauty, challenges and delights of this unique and environmentally friendly sport. Gliding means flying modern, technologically advanced machines of great beauty and elegance for hundreds (or sometimes even thousands) of kilometres in total comfort and without resorting to engines. Success depends on the skill of extracting teh necessary energy so abundantly provided by the atmosphere around us. Real detemination to succeed is a good starting point, but full enjoyment and good progress reguires some familiarity with gliding theory. Background knowledge is always essential for success and that´s what this book is all about. It not only covers all sources of energy for soaring but it also deals with weather analysis, flight preparation, mental apects safety matters, technical issues and competitive flying. In short, it is a first class training aid to guide pilots from local soaring to advanced cross-country flying and beyond. But it doesn´t end there! 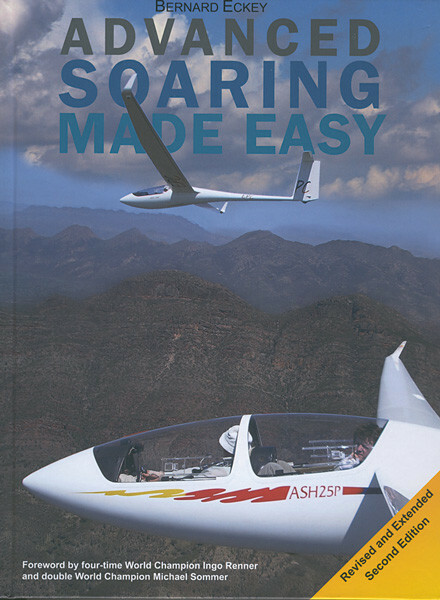 The comprehensive coverage of all gliding related topics even provides essential advice to pilots striving for records or competition success.